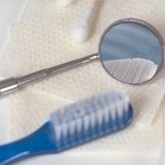 DentalPlans.com provides a hassle-free way to save money on General Dentistry and more at a Torrance dentist. Just type in your ZIP code now to find a money-saving discount dental plan and participating dental care providers in Torrance, CA. Select one of our featured discount dental plans and get deep discounts when you visit a participating dentist like Dr. Bernadette N Dunlap. Then, just go see Dr. Bernadette N Dunlap or any other participating dentist in Torrance, CA to save money on General Dentistry and more. Our individual and family discount dental plans start at $79.95 per year and $129.95 per year respectively, and offer great discounts on General Dentistry and other dental care treatments. Our vast dentist database has an enormous selection of general dentists, orthodontists, oral surgeons, periodontists, pedodontists, endodontists, and prosthodontists! So whether you have a toothache, need a root canal or just want your teeth bleached, you can easily search our huge dentist directory to find Torrance dentists that offer discounts on General Dentistry and more.